It sounds like Fallout 76 will resemble an MMO more than a traditional Fallout. Intrigued? Check out the best MMOs on PC. What with Fallout 76 becoming an online game populated by other humans, a lot of fans of the more traditional RPGs have been wondering how it will tell a story without NPCs. It looks like we’re not quite the first generation of humans out of the vaults, and will be picking over their experience from what they left behind. Here’s Gardiner’s answer in oral form. In the follow-up chat,multiple characters are also confirmed. E3 is – finally, facial twitch –winding down, and we know a hell of a lot about Bethesda’s big online game. 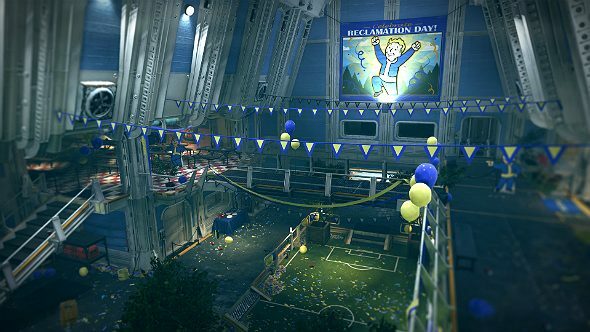 To catch up, head here for theFallout 76 release date, trailers, beta details and more.